The immigration office on South Korea's southernmost island of Jeju said Saturday it has granted refugee status to a Chinese smuggler who helped hundreds of North Koreans defect to the South. The office under the Ministry of Justice said that an F-2 permit was issued to Tu Airong, 55, on Friday. 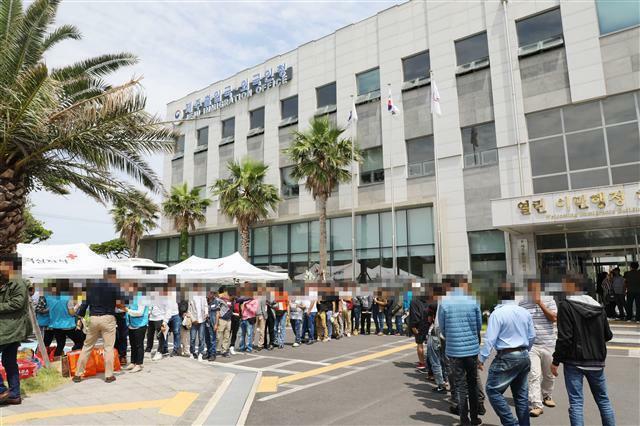 It is the third case of refugee approval by the Jeju immigration authority following the cases of two Yemeni asylum seekers last week. A refugee in South Korea is entitled to basic social benefits that are provided to ordinary Koreans in the low-income bracket and their children will be able to attend school. They are not entitled to vote. The Chinese national obtained refugee status after winning a lawsuit against the government in an appeal here, the immigration office said. According to court documents, Tu was sentenced to a suspended prison term in China in 2009, after being convicted of helping North Koreans defect to neighboring countries, like Laos. He had to leave China himself that year as he became wanted again by the Chinese authorities. He mostly stayed in Cambodia, Laos and Thailand until he came to Korea. During those times, he continued to work as a smuggler for North Korean defectors.